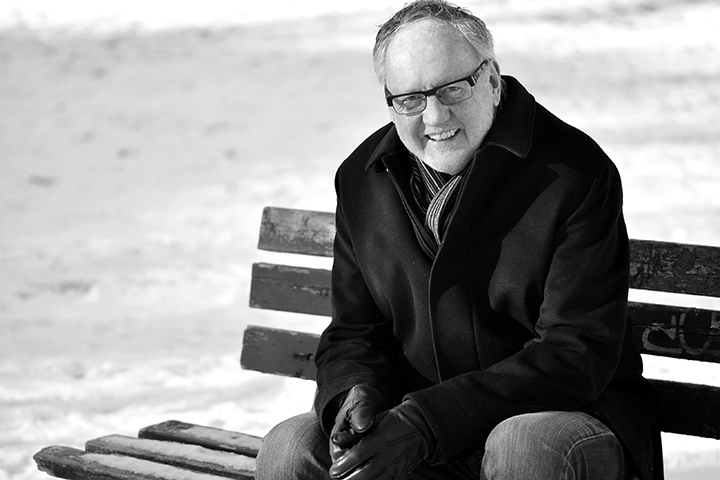 Michael Fullan is sort of a rock star to educators worldwide. In fact, the professor emeritus and former dean at the Ontario Institute for Studies in Education at the University of Toronto once earned the same Officer of the Order of Canada honor as actual rock stars Neil Young and the band Rush. A prolific writer, Fullan’s latest work includes a case study on the Long Beach Unified School District. The study describes the key conditions and strategies that have led to improved student achievement here while providing exemplary support to teachers for more than two decades. The case study is one of five in a series called “California’s Golden Opportunity – District Case Studies in Professional Capital.” Professor Fullan also studied Corona Norco Unified, Fresno Unified, Twin Rivers Unified and Whittier Unified school districts, publishing all the reports on Jan. 20 at michaelfullan.com. Fullan states that professional capital, consisting of human, social and decisional capital – is the key asset that has to be invested, accumulated and circulated to yield continuous growth and strong return in student and adult learning in an education system. “The Long Beach Unified School District exemplifies high levels of professional capital in action,” wrote Fullan, who advises policymakers and other leaders around the world on how to help all children learn. He holds honorary doctorates from several universities, he’s a best-selling author whose books have been published in multiple languages, and he’s apparently a fan of Long Beach. “The district has been remarkably successful at articulating and operationalizing a vision that all students can achieve at high standards,” he wrote. Fullan notes LBUSD’s recognition in a global study naming the district as a highly improved system that keeps getting better, and he cites a 154 percent increase in Advanced Placement college prep course enrollment here between 2004 and 2014. LBUSD also is narrowing achievement gaps between white students and other groups at a faster rate than similar districts in California, the report states. Among the keys to the school district’s success has been stable leadership. LBUSD has had only two superintendents over the past 24 years, Fullan observes. The author provides details on Instructional Leadership Teams that serve as a key interface between schools and the central office, and he describes the district’s Collaborative Inquiry Walkthrough Visits, which help to monitor classroom instruction and provide support to teachers. The school district’s Supporting Teacher Effectiveness Project is featured, as Fullan describes multiple avenues of communication and collaboration among teams and departments here. Fullan notes Long Beach’s shift to Linked Learning, which combines rigorous academics and work-based learning focused on industries such as medicine, biotechnology, hospitality, arts and multimedia, law and engineering. The author notes LBUSD’s “skilled use of data” rooted in its home-grown LROIX (acronym for LBUSD Research Office Intranet), which began 20 years ago. The system provides student and school data to help teachers and administrators with short and long-term planning, and the interface is constantly redesigned based upon user feedback. The report’s section on “Attracting, Developing and Reinvesting Human Capital” says “LBUSD is a highly attractive place to work for teachers and administrators because of its high quality professional development, competitive salaries, recognition as a high performing district, and its vibrant culture of collaboration, support and continuous improvement.” Fullan cites effective practices in human resources and leadership development, including support for new teachers and principals, as well as partnerships with Cal State Long Beach, which supplies 70 percent of LBUSD’s teachers. A section on “System Coherence at LBUSD” defines coherence as “the shared depth of understanding of the nature of the work.” This section describes effectively centralized systems such as curriculum, textbooks and professional development.